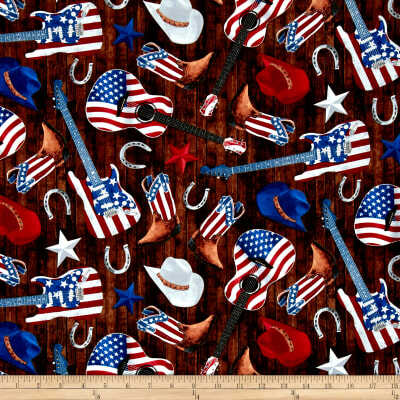 Designed by Dan Morris for Quilting Treasures, this cotton print is perfect for apparel, quilting and home decor accents. 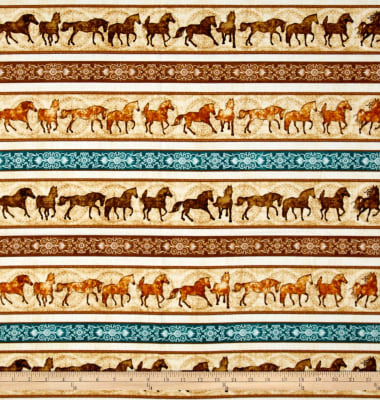 The print features silhouettes of horses in action. Colors include black, brown, aqua, shades of tan, sky blue, terracotta, peach and light shades of yellow. Sold by the yard, so you can order as little or as much as you need. 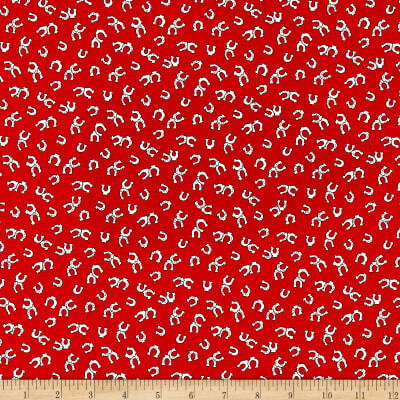 Rhis cotton print fabric is perfect for quilting, apparel, and home decor accents. Colors include shades of brown, black, grey, shades of blue, and shades of red. Designed by Maria Kalinowski for Kanvas in association with Benartex, this cotton print fabric is perfect for quilting, apparel and home decor accents. Colors include black, cream, shades of grey, and shades of brown. 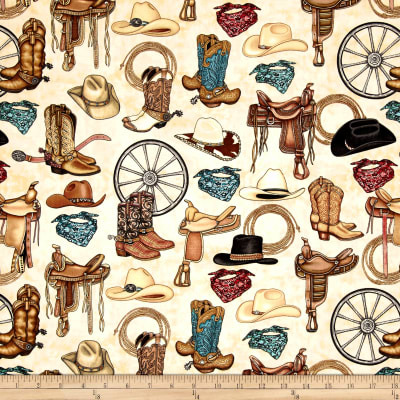 Designed by Dan Morris for Quilting Treasures, this cotton print is perfect for apparel, quilting and home decor accents. 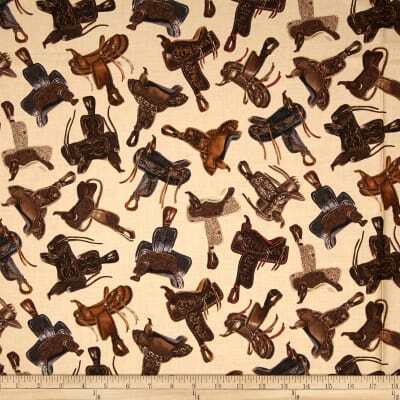 The pattern features western accessories. Colors include black, brown, taupe, terracotta, crimson, light cream, blue, green, light brown, navy, sky blue, pink, shades of tan and light yellow. 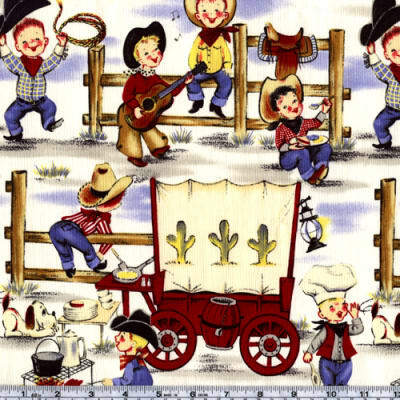 The Lil’ Cowpokes collection, designed for Michael Miller Fabrics, is perfect for quilting, apparel and home decor accents. Colors include red, green, denim blue, yellow gray and black on an ecru background. Has a color palette of cream horseshoes on a red background. Use this fabric collection to create a unique quilt or quilting project.